True story: some college students were touring a county coroner’s office. The tour included visit to an autopsy room, where a coroner and a diener were in the process of examining the body of a deceased unfortunate. The diener, with the students looking on, turned the corpse over and exclaimed, “Rut row!” The reason for this utterance was that the corpse had a tattoo of Scooby Doo inked into one cheek of his posterior. Gallows humor, indeed. Scooby Doo is firmly ensconced in the American culture. 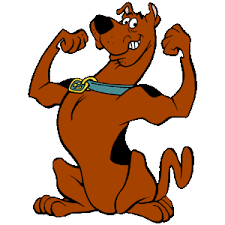 The plot of each cartoon episode is very similar, with a crime occurring, Scooby and his pals investigating, and the villain of the piece being unmasked, literally, at the end. I think that I first heard this type of climax referenced as a “Scooby Doo” ending during the second of the three climaxes to the film Bill & Ted’s Excellent Adventure. It has been a vehicle used in mystery novels long before that. There’s nothing wrong with it at all, except that 1) it sometimes doesn’t work and 2) sometimes it needs a little work. I ran across an example of the former several months ago while reading a thriller that was one of the many nephews to The Da Vinci Code wherein the protagonist’s adversary was running around killing people while wearing a tribal mask and attempting to obtain an instrument of antiquity which would permit him to destroy the universe. The protagonist got the mask off of the evildoer near the end and the book ended. “Rut row!” The book was okay, but the ending was a total disappointment. That brings us to a book I read this week in which the author uses the Scooby Doo ending to great effect by taking the story a step or two beyond it. The author is the morbidly underappreciated Brian Freeman and the book is Season of Fear, the second and latest of the Cab Bolton novels. (Please note: it’s not quite a spoiler, but there’s a general revelation ahead. Read the book regardless). The premise is fairly straightforward. Ten years ago a Florida gubernatorial candidate was assassinated by a masked gunman, throwing the election into chaos. A suspect was identified, tried, convicted, and jailed. In the present, the candidate’s widow is running for the same seat when she receives a threatening note which purports to be from the same assassin. Indeed, he eventually turns up, and his identity is ultimately revealed in a grand unmasking. But wait. 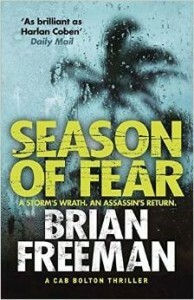 Freeman, after giving the reader enough action to fill two books and expertly presenting a complex but easy to follow plot, gives the reader more to chew on. Things don’t end with the revelation of the identity of the doer; instead, Freeman moves us a couple of more steps forward, revealing a potential unexpected mover and shaker who was a couple of steps ahead of everyone, including Bolton. This has the double-barreled effect of making the climax much more interesting and setting up a potential adversarial setting for Cab Bolton in a future novel. Nice work. Again, Scooby Doo endings are okay. They’re fine. But if your particular novel in waiting has one, and seems to lack pizazz, don’t just take the doer’s mask off, or reveal their identity, or whatever. Take things a step further just as the curtain is going down, and reveal who is pulling the cord, and perhaps yanking the chain. It may be a character that was present throughout your book, or someone entirely new, or…well, you might even want to create a character and work your way backwards with them. But stay with the mask, and go beyond it. So what say you? Have you read anything recently where the ending really surprised you, unmasking revelations or otherwise notwithstanding? Do you like Scooby Doo endings, in your own work or the work of others? Or can you do without them? 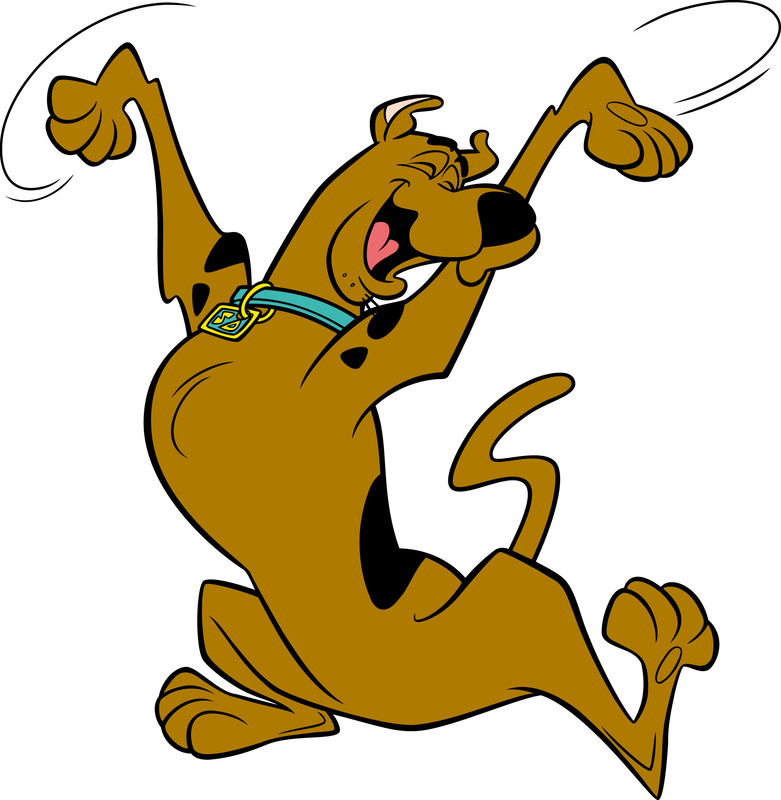 Oh, lest I forget… SCOOBY-DOO and all related characters and elements are trademarks of and © Hanna-Barbera. Rowwrr!